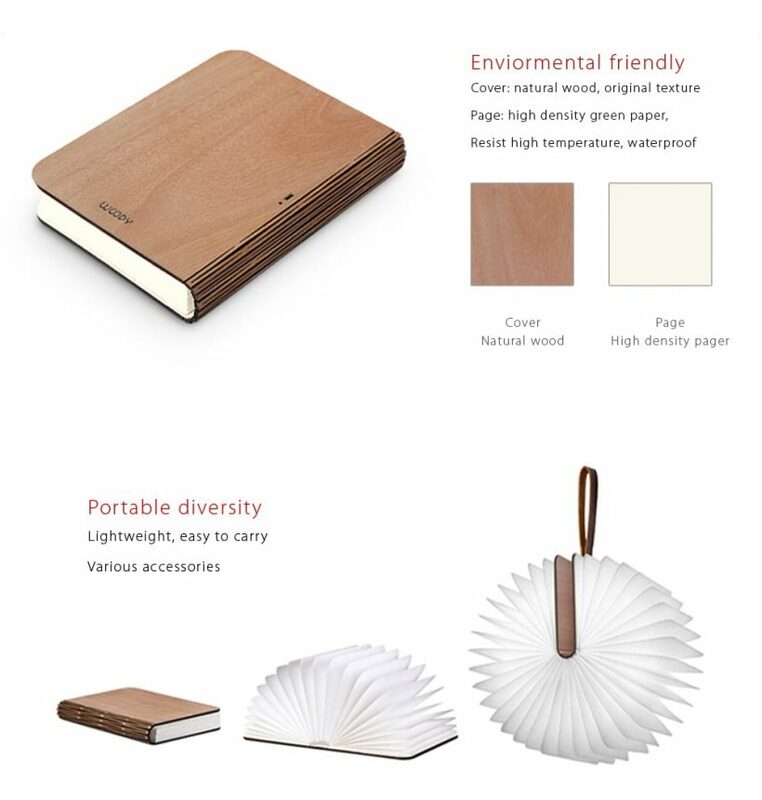 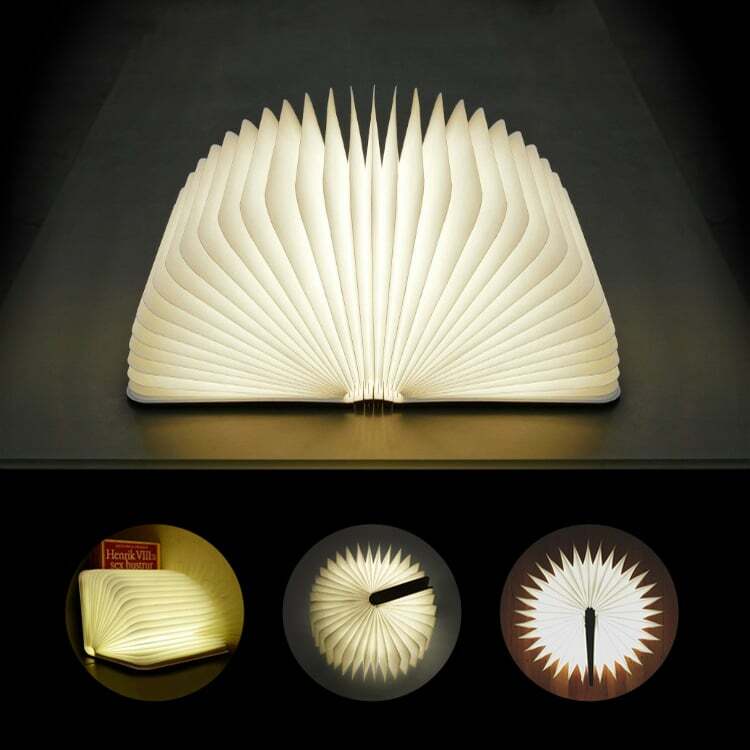 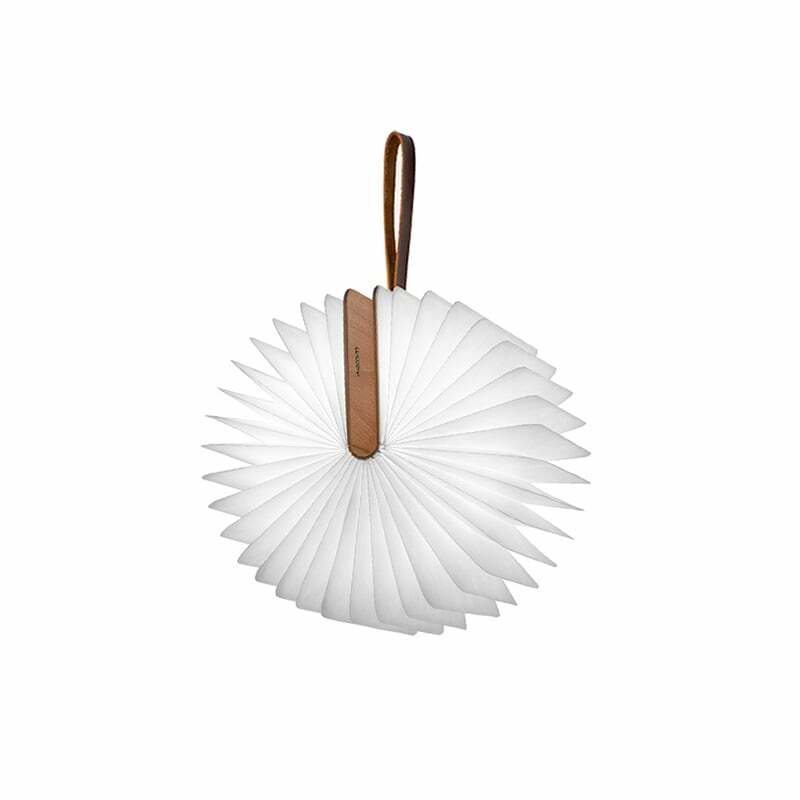 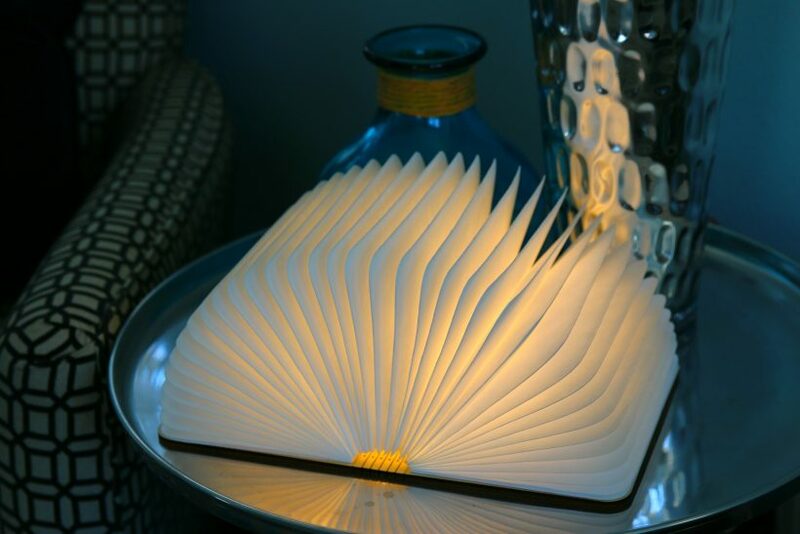 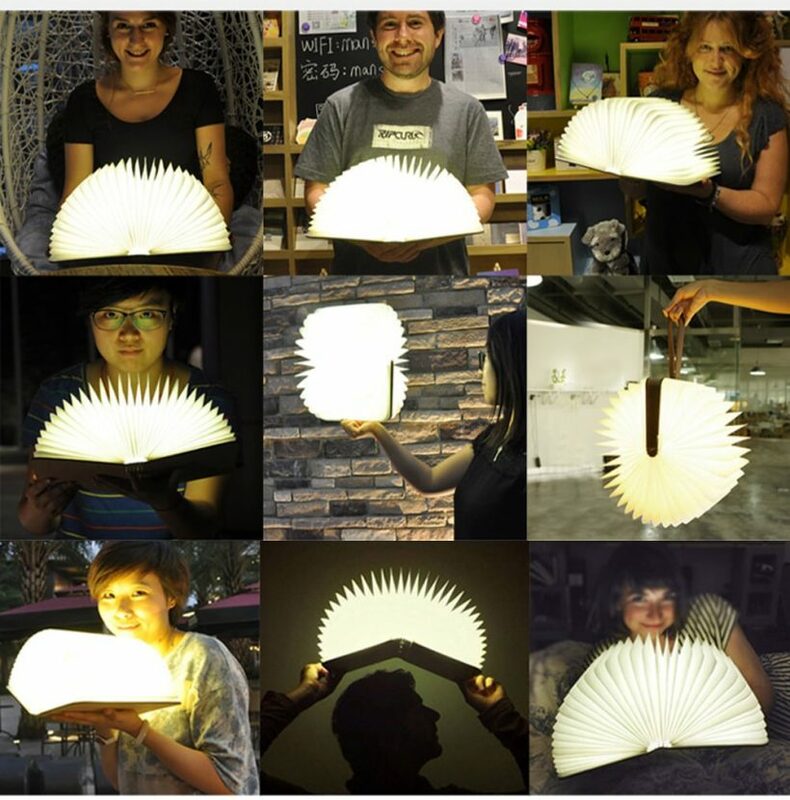 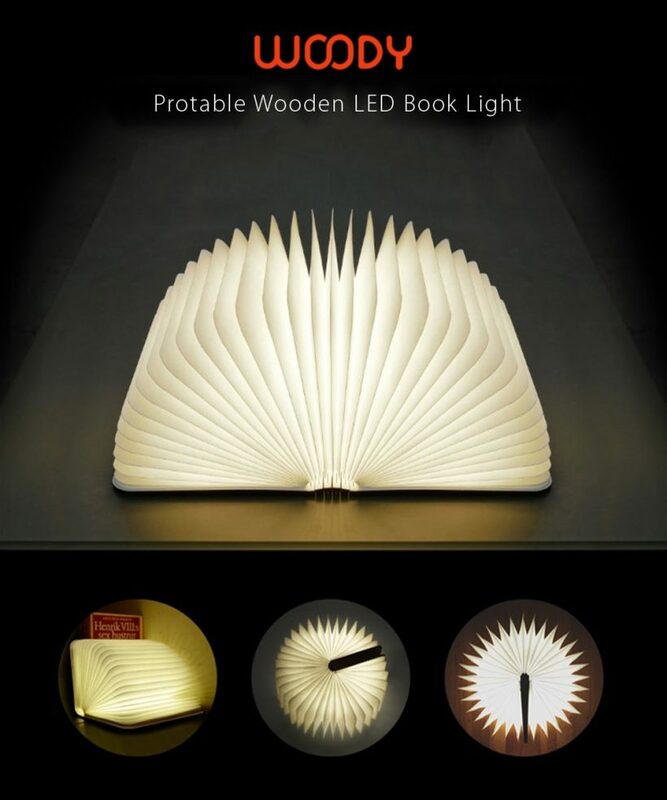 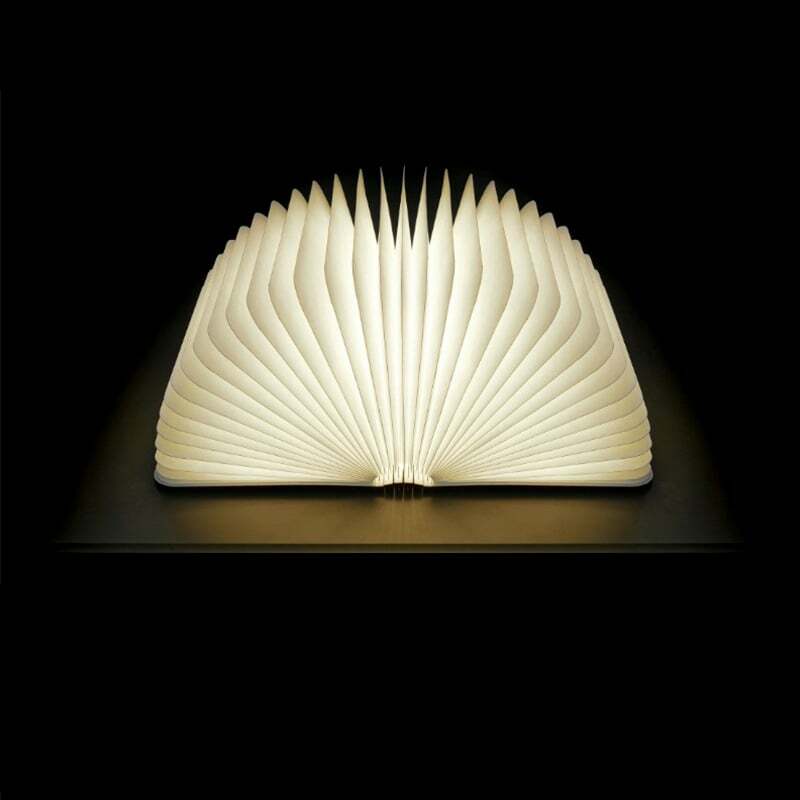 You can open this woody book lamp for a complete 360 degrees that looks like a fan consisted of illuminated LED pages of a book, it can be placed on a surface or hung from the leather strap to create a stylish ambience to your space. 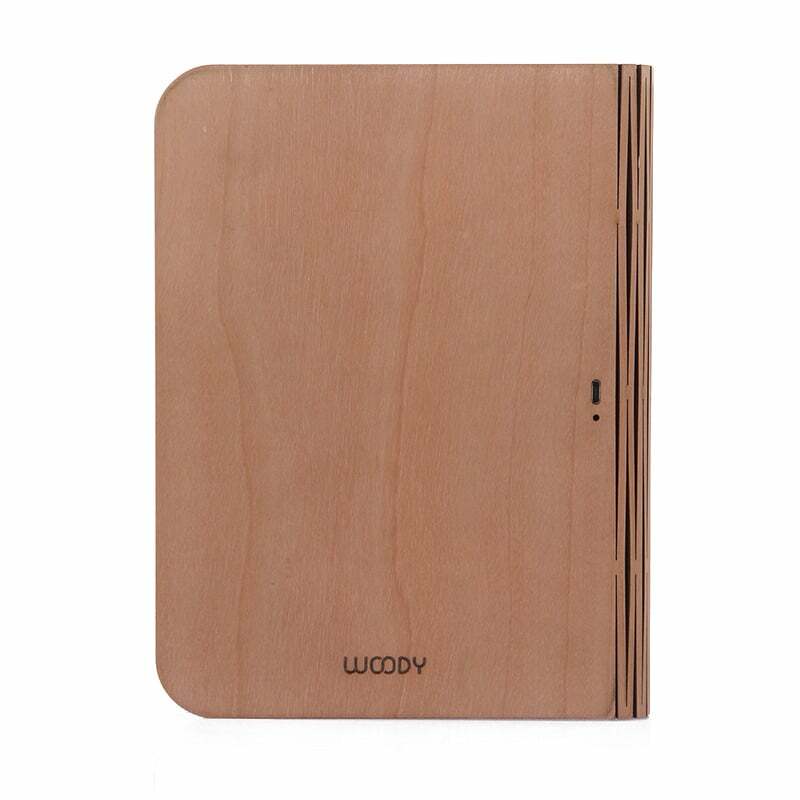 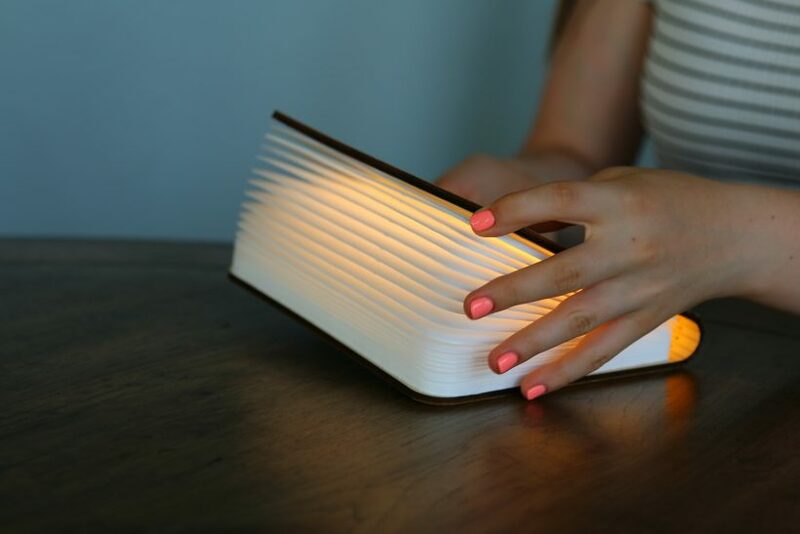 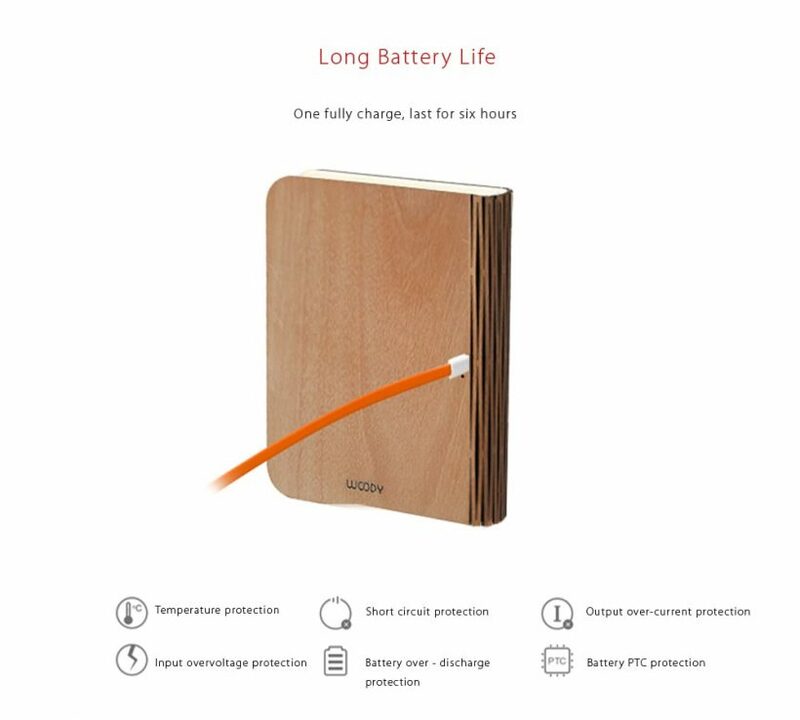 The wooden book lamp is powered by a portable USB charger and 3000mAh Lithium batteries that supports for up to 6 hours of warm, soft glow. 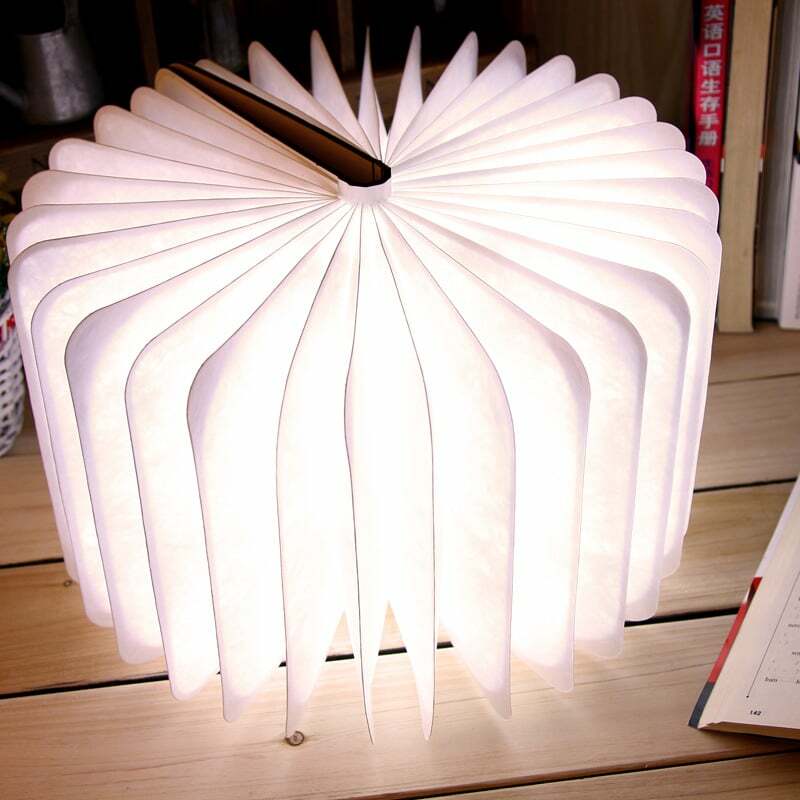 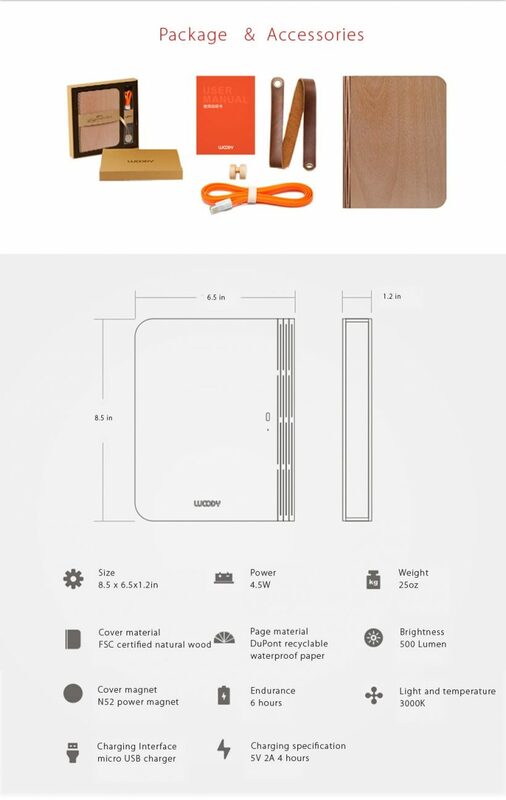 This multi-functional portable lamp is available here for $130 USD.